The first house of this estate was built in 1727 on land belonging to the local manor. The annual land rental fee of 11 guilders, 5 kreutzer was paid off by a sum of 181 guilders, 30 kreutzer in 1851/52. and all animals and inventory (with the exception of a horse which was able to be rescued) fell victim to the fire. 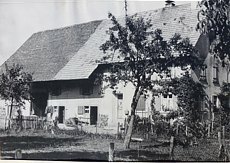 As a result Philipp Heizler built a new living and commercial building in 1878 on the estate road and set it up to be an inn, together with the "Sonne" sign. After his death, the property was inherited by his widow and children. After the death of the mother, her children signed over the estate to her brother, Josef Heizler, born on 9th December 1853 for 10,546 marks. Josef Heizler married Agatha Klingele (born 7th January 1864) on 18th March 1890 and died on 4th August 1912. As a result of the division of the estate in December 1919 the son, Josef Heizler, born on 10th March 1895, received the complete real estate and contents within the boundaries of Stegen, Eschenbach and Stegen for 23,000 marks. He married Philippina Rombach, born on 3rd December 1898, on 26th May 1920. Eight sons resulted from this marriage. One of these is Adolf Heizler. In April 1959 Adolf Heizler took over the farm from his parents, together with his wife, Frida. They transformed it into an inn with small menu and an agricultural business. 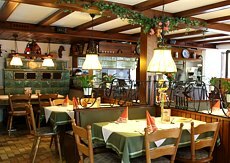 However, in 1977 the Heizler couple closed their farming business in order to concentrate on gastronomy. 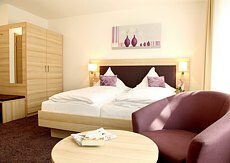 The old stable was then renovated into a second restaurant area and additional bedrooms were created. 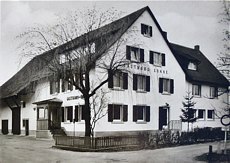 In 1983 the guesthouse was finally added onto the building. 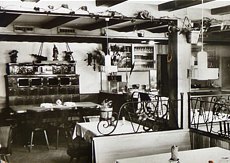 In January 1987 Klaus Heizler took over the Gasthaus Sonne from his parents. He has been cooking in the family restaurant since 1981, when it was still run by his parents, and has continually developed the menu ever since. 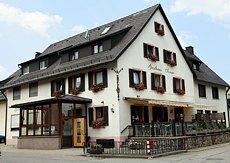 Meanwhile Klaus Heizler and his wife Regina have been running the Gasthaus Sonne in Stegen for over 25years. And an end to the tradition should not be feared: the next generation is already prepared.